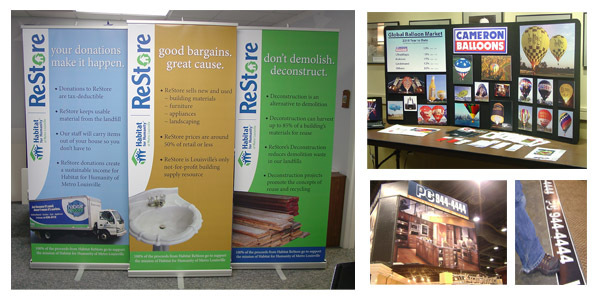 Ask us about retractable banner stands, booth backdrop banners, table throws, and other eye-catching displays that will make your image stand out. Our award-winning graphic design will ensure your company of a dynamic and memorable look. And remember floor graphics to complete the picture.